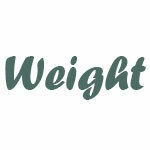 Weight : Five Habits That Can Improve Your Diet Success! Snack Smart: Snacking between meals is okay and can help to prevent food cravings, as long as you choose your snacks wisely. Munch on some plain yogurt, vegetables or a handful of nuts. Go light on fruit because it contains fruit sugar that may increase your blood sugar and insulin level, which makes it harder for some people to lose weight and may even cause food cravings. Keep Moving: Exercising is crucial to staying healthy and losing or maintaining weight. But you don’t have to go to the gym every day. While it is recommended to work up a sweat at least 4 times a week for about 30 to 45 minutes, every little bit of movement helps. Become more active - take the stairs instead of the elevator, park further away from the store entrance or go for a walk. Drink Up: Research has shown that people who drink about 9 cups of water each day can increase their body's energy expenditure (calories that a person uses when exercising e.g.) by approx. 100 kcal. To lose weight, energy expenditure needs to be higher than caloric intake. Choose water rich in magnesium and calcium. Gerolsteiner® and Vittel® are ideal choices. When you feel hungry, drink a glass of water first. A lot of times, people mistake thirst for hunger and eat, while their body really wants liquids. Eat Healthy Fat: That’s right! You need to have some fat in your diet, so don’t cut it out completely. Make sure you consume fat in moderation and, even more importantly, eat the right fats. Choose olive or coconut oil for cooking, as they are rich in heart healthy unsaturated fats and medium chain fatty acids. Eat at least one good source of omega-3 fatty acids each day, such as salmon, walnuts or ground flaxseeds. Indulge: No diet that requires you to stop eating your favorite foods can work in the long run. If you crave something, drink a glass of water, brush your teeth (a lot of times the toothpaste flavor helps) or do something else for 15 minutes. If the craving still hasn’t gone away, give in - but in moderation! Have a slice of pizza instead of the whole pie and eat a miniature candy bar instead of going for the king size. Indulging occasionally without feeling guilty will keep you motivated and help prevent you from binge eating at a later point.